Mortgage rates moved higher for the second week in a row, while also only posting the second increase this year. This makes mortgage rates very attractive for the upcoming spring home buying season, according to results from the Freddie Mac Primary Mortgage Market Survey® (PMMS®). "The 10-year Treasury yield ended the survey week exactly where it started, however the solid February employment report boosted the yield noticeably on Friday and Monday,” says Sean Becketti, chief economist, Freddie Mac. “Our mortgage rate survey captured the impact of this temporary increase in yield, and the 30-year mortgage rate rose 4 basis points to 3.68 percent. This marks the second increase this year. Nonetheless, the mortgage rate remains 33 basis points lower than its end-of-2015 level." 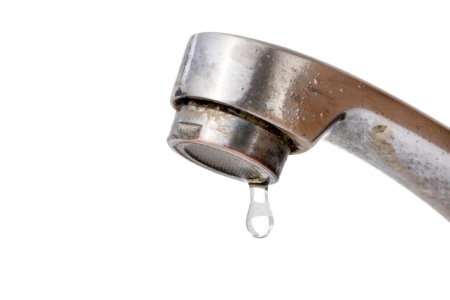 Did you know more than one trillion gallons of water are wasted each year by easy-to-fix household leaks? Check for silent toilet leaks by putting a few drops of food coloring into the tank at the back of the toilet. Wait 10 minutes. If the color appears in the bowl, you have a leak. Curb appeal is in the eyes of the buyer. But as Texas Tech University researchers Emmett Elam and Andrea Stigarall point out, the precise factors that influence a homebuyer’s perceptions of curb appeal are debatable. What is not debatable is the lift that curb appeal gives to the value of a home. Improving the curb appeal of your home can boost its value by as much as 17 percent, the Texas Tech researchers found. They say curb appeal ranks second only to home size in weighing a home’s value. Mortgage applications increased 8.8 percent from one week earlier, according to data from the Mortgage Bankers Association's (MBA) Weekly Mortgage Applications Survey for the week ending January 22, 2016. This week's results include an adjustment to account for the Martin Luther King holiday. The Market Composite Index, a measure of mortgage loan application volume, increased 8.8 percent on a seasonally adjusted basis from one week earlier. On an unadjusted basis, the Index increased 0.3 percent compared with the previous week. The Refinance Index increased 11 percent from the previous week.